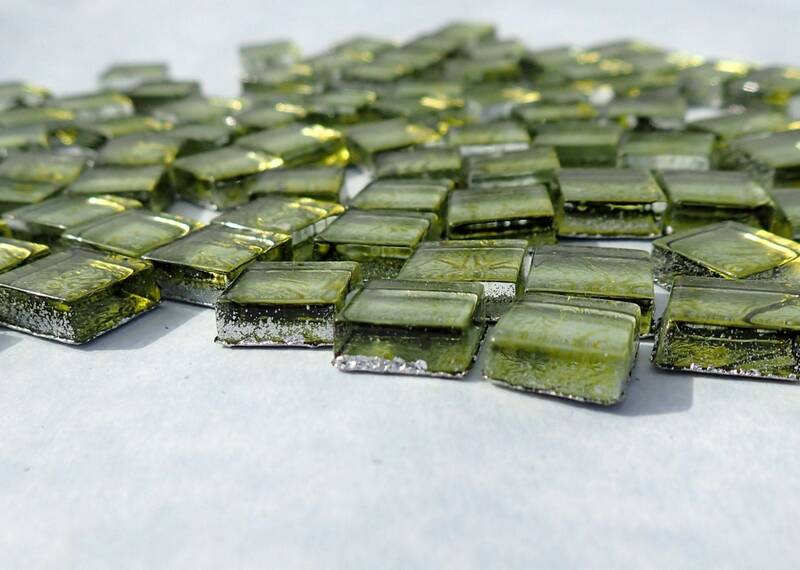 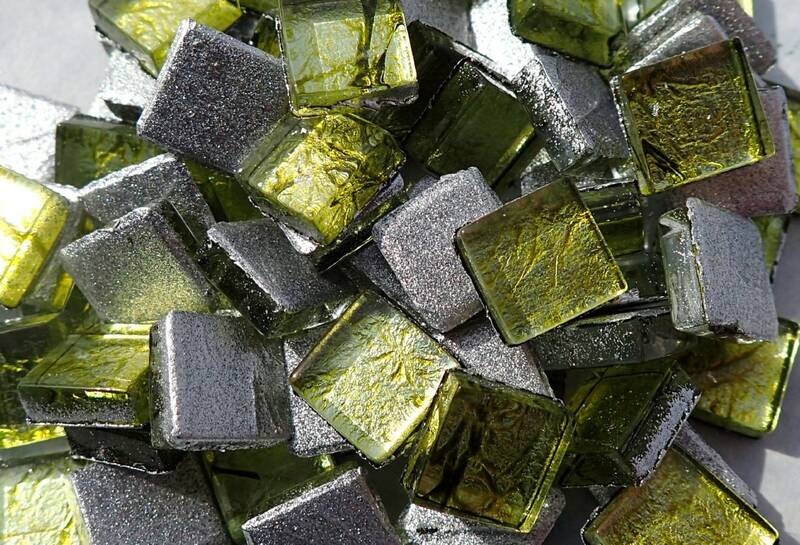 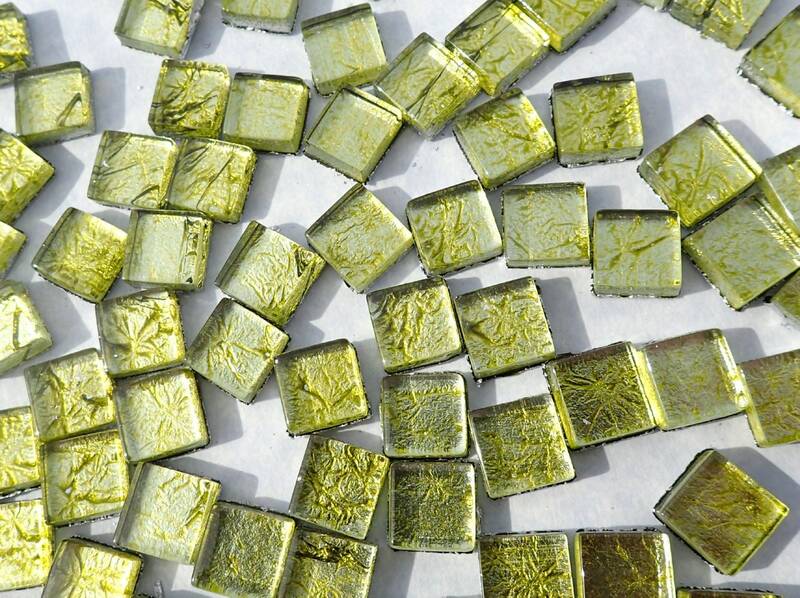 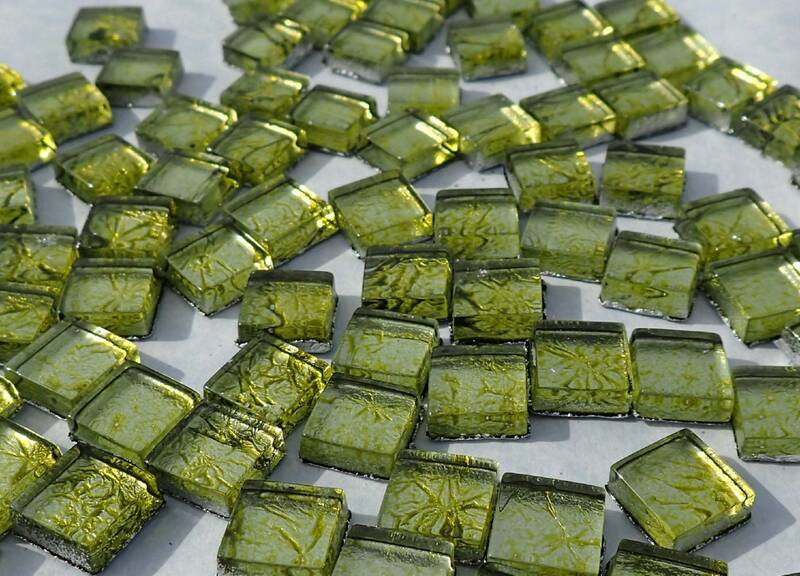 These square foil mosaic tiles are in a light green color. 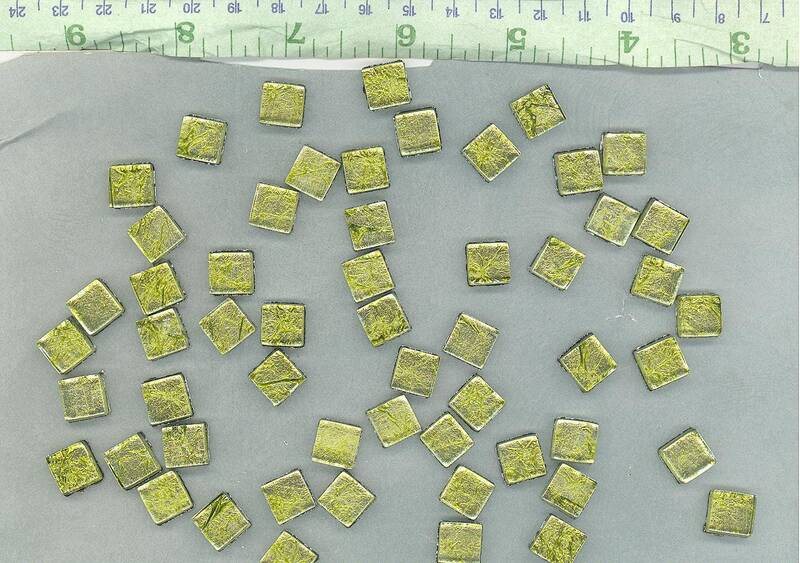 They are 1cm x 1cm x 4mm. 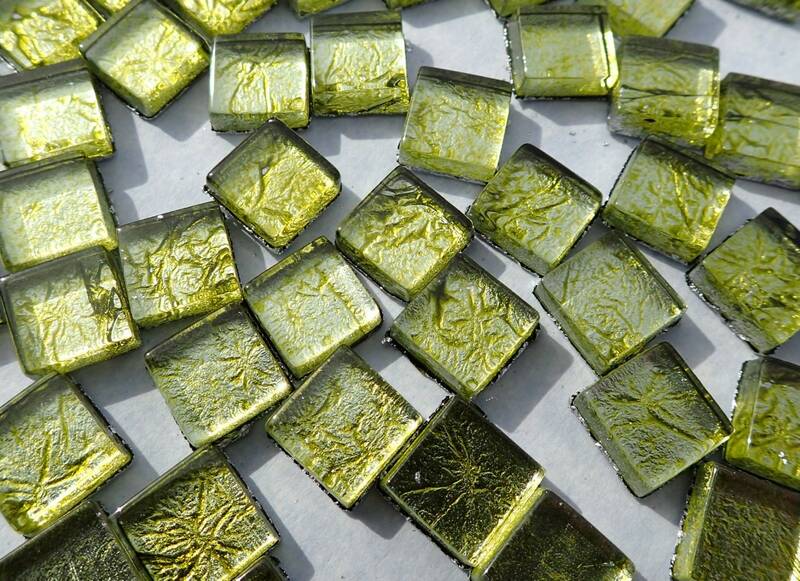 (3/8" x 3/8" x 1/6") They are made with hot molded float glass for a smooth surface and edges. 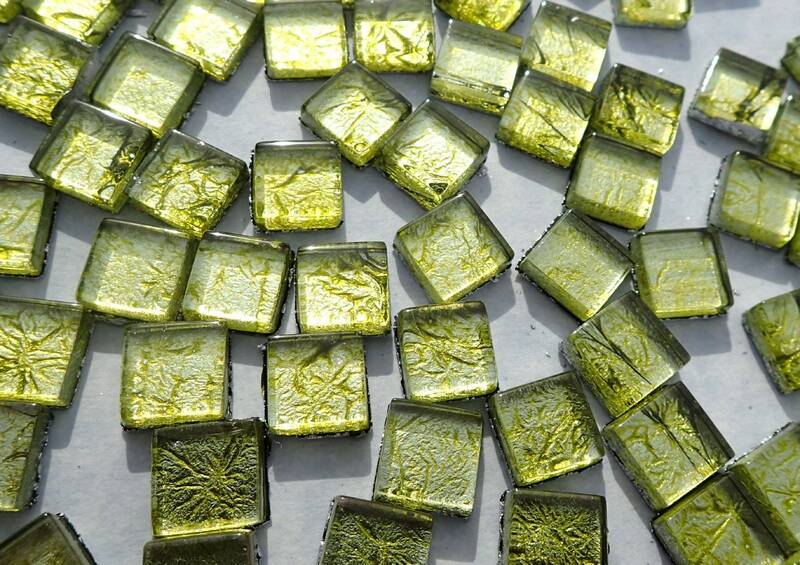 The colored and textured metallic foil will be a nice addition to your mosaic project.